Taming the fire was one of the most important steps in man‘s cultural development. The oldest depiction of a fire fight is about 5000 years old and originated from a palace in Ninive in Iraq. For ancient Rome it has been described that they had a brigade of municipal slaves for fire fighting as early as 300 B.C. Their equipment already included a fire hose. Of course, the equipment, which kept becoming more bulky and heavier, had to be transported to the fire as fast as possible. In early times this first was achieved by special, mainly horse-drawn, wagons. Progressing motorization brought steam-powered fire engines which in most cases, however, were too slow and unwieldy. 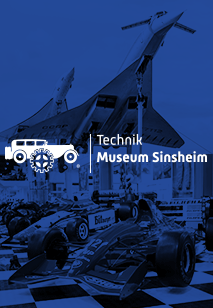 In 1888 finally Daimler presented the first fire hose with a piston pump powered by a gasoline engine. A short while later the new technique was also used to drive the wagons. With this development the foundations had thus been laid for modern fire fighting brigades. 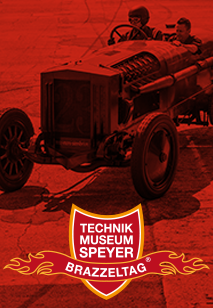 Additional to the cars the Technik Museum Speyer shows a great number of articles of equipment of fire fighters from all over the world. Also the museum has two fire-fighting-boats and the fire-fighting-airplane Canadair CL-215.